You might think that all sweepstakes are basically alike -- you enter, and you get a chance to win, right? Well, there are many different types of sweepstakes. And each sweepstakes type has its own entry methods and winning strategies. Plus, some people just like some kinds of giveaways more than others (my personal favorites are instant sweepstakes, for example). What Kinds of Sweepstakes Can I Enter? Here, you'll find a guide to the different types of sweepstakes that are available to enter. Use it to find the giveaways suit your preferences. Plus, if you are experiencing some sweepstakes burnout, trying new ways to enter can reinvigorate you, making you feel more motivated and have more fun entering. So use this list to find something new to try. You can also score more points in my sweepstakes scavenger hunt by trying new sweepstakes types. One thing to consider when deciding which giveaways you want to enter is how the winners will be selected. Will winners be chosen at random, by judges, by public vote? Does your entry time affect your chances of winning? Many people use the terms "sweepstakes" and "contests" interchangeably. This is not correct, however. A sweepstake is a giveaway where the winner is drawn at random. Every entry has an equal chance of being drawn as the winner. For sweepstakes to enter see the BIG Daily Sweepstakes List. On the other hand, contests, also known as skill contests or creative contests, are giveaways where the winner is selected by judges (or sometimes by random vote). They always have an aspect of skill to them. For example, the winner might be the person with the best essay, photograph, or recipe, or the winning entry might be drawn from the pool of all people who perform a specific action, such as correctly answering a trivia contest. See the Current Creative Contests list for skill contests that you can enter today. Instant Win Sweepstakes work a little bit differently. Before the sweepstakes start, winning times are selected at random, with one winning time per prize. The first person who plays the instant win game after that moment is the prize winner. So the winner selection method is not quite random, but not selected by judges, either. Check out the Instant Win Sweepstakes List for instants that you can enter today. Online sweepstakes allow you to enter using your computer and your internet connection. Advantages: Easy to enter, free of charge. Disadvantages: Because online sweepstakes are free and easy to enter, there is usually more competition for the prizes, and therefore a lower chance to win. Email sweepstakes are a type of online sweepstakes where you send the sponsor an email with your entry information. Disadvantages: Usually more time-consuming than regular online sweepstakes. 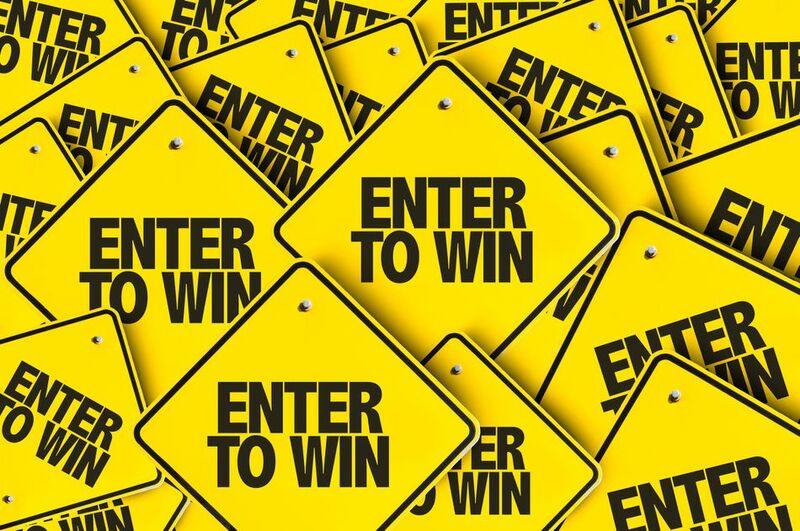 More info: Should You Enter Sweepstakes Online and By Mail? Mail-In sweepstakes involve sending your entry to the sponsor by postal mail. Advantages: Fewer people tend to enter mail-in sweepstakes, so the odds are higher. Disadvantages: Time-consuming to enter. You must pay for postage. Call-in sweepstakes have a phone number that you use to give your entry information to a representative. Advantages: Less well-known than online sweepstakes. Disadvantages: Must be careful of hidden phone charges. More time-consuming than online entries. Drop boxes are often found at supermarkets, malls, conventions, and local businesses. You fill out an entry form and drop it in a box. Advantages: Free and easy to enter. Often, dropbox sweepstakes are local entry only, meaning your odds of winning are significantly higher. Disadvantages: You must be at the location of the drop box to enter. It can be difficult to tell if the sweepstakes are legitimate. Use your cell phone to enter sweepstakes. Some sweepstakes use text sweepstakes as an alternate entry method, while other sweepstakes can only be entered by text. Advantages: Entering text sweepstakes is as easy as sending a text message to a shortcode. Disadvantages: By entering, you may be agreeing to receive marketing messages by text. You may also be subject to standard and premium text message charges. Many radio stations offer giveaways with prizes ranging from concert and movie tickets to cars and cash. Advantages: Many of these giveaways are local, so you aren't competing with sweepers from around the country. Disadvantages: You have to be alert as well as lucky to win. Blogs are a powerful voice on the internet, so companies are turning to them to offer giveaways promoting their products. Advantages: Fewer people enter blog contests, raising the odds of winning. Disadvantages: Not all blog contests are fair about giving away prizes. It can be hard to sort through all of the blogs. Each person (or household, or computer, or IP address) can enter one time only. It means that everyone who enters has the same chances to win. These are great sweepstakes if you don't have much time to sweep, or to enter for prizes that you'd like to have but aren't wild about. These sweepstakes allow you to enter daily. If you enter daily sweepstakes every day, you can increase your odds of winning over other people who don't enter regularly. However, entering daily takes time and dedication. Sweepstakes that you can enter on a weekly basis are rarer than either one time or daily sweepstakes. Because their entry period is more irregular, it is harder to remember to enter these weekly. It does, however, increase your odds over people who enter them once or twice. Monthly sweepstakes can award a prize every month, or they can allow monthly entries for a grand prize that is given away at the end of the entry period. Either way, they tend to be ignored by many sweepers, and therefore to have better chances of winning for people who enter regularly. Unlimited entry sweepstakes allow you to enter as often as you want. Unless you have an awful lot of time to dedicate to entering these sweepstakes, these will have high odds against winning. Odd entry sweepstakes are sweepstakes with irregular entry periods. For example, an odd entry sweepstakes might let you enter every two weeks, or it might have entry periods of varying lengths, where one entry period lasts for a week and the next for 12 days. Ongoing sweepstakes can fall under any of the above categories, but they have no set expiration date. They continue indefinitely until the sponsor announces that the sweepstakes are over. They usually award prizes at set intervals throughout the giveaway, such as weekly or monthly. The most flexible of prizes! Enter to win cash or other forms of money like gold coins and credit card gift cards. If you're ready to get started, check out the Cash Sweepstakes List. If you love staying on top of the latest gadgets, these sweepstakes are for you. Enter to win everything from big-screen Smart TVs to laptops, iPads, and more. Just Started or Ending Soon? These are just a few of the sweepstakes prize lists that I offer. Visit the Sweepstakes Directory to see all of the sweepstakes lists. While the majority of sweepstakes are targeted toward adults aged 18 and above, there are also sweepstakes for other age ranges. For example, there are sweepstakes for kids, sweepstakes for teens, sweepstakes for seniors, and more. Some sweepstakes focus on very small geographical areas, like states, counties, or even towns. The drop boxes you find in your local grocery store and the contests held by your local radio station are examples. Sometimes there are also sweepstakes that target people in a specific line of business. I've seen sweepstakes for advertising executives, technology professionals, teachers, and more. Sweepstakes can also restrict entry to other groups, like smokers, diabetics, and more. Read the sweepstakes rules for details. Answer trivia questions to enter the pool of eligible winners and see Where to Find Answers for Trivia Contests for winning advice. Social media websites are becoming the most popular way for people to communicate online. It's no surprise, then, that more and more companies are running their sweepstakes on social media platforms. If you want to enter many of the big giveaways going on today, you need to become familiar with these sites and how to use them safely. Twitter is a micro-blogging platform that lets people communicate in short messages of 140 characters or less. Advantages: Not all sweepers have jumped on the Twitter bandwagon yet, meaning that your odds of winning are high. Entry is usually very easy. Most of the time, you just need to send a short message with a specific hashtag attached. Disadvantages: You have to be careful that the sweepstakes you are entering are legitimate. There is a learning curve for using Twitter, and it might seem difficult to use at first (though it's very easy once you get the hang of it). Facebook is a very popular social media website, where you can follow friends, family members, and your favorite companies and share photos, comments, and more. Advantages: Fewer people tend to enter sweepstakes on Facebook than online sweepstakes, so the odds of winning may be good. Disadvantages: To enter Facebook sweepstakes, you usually need to "like" the company's pages, and sometimes you need to allow applications access to your Facebook account. Be sure to Remove Facebook Applications that you're not using anymore. Pinterest is a social bookmarking site where you can "pin" images from websites for inspiration and to remind yourself to return to the site. Unsurprisingly, many companies are hoping that you'll pin their images to buy later or to come back and visit again -- and they're rewarding you for pinning their images with sweepstakes prizes. Advantages: Pinning images is quick and easy, and you don't have to worry much about privacy issues. Disadvantages: You need to be careful what you pin. Some people and companies do not want their images shared without permission, and doing so can violate copyright law. You're pretty safe sticking with images that you have taken yourself, companies that have "Pin It" buttons on their sites, and the images that sweepstakes sponsors make available for entering their sweepstakes.